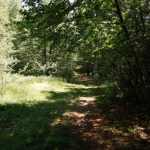 Join climate writer/activist Wen Stephenson and me in a walking event that reconsiders the radical politics of Thoreau in our time. Connect observation, environmental awareness, aesthetic action, and social change to the climate crisis now. 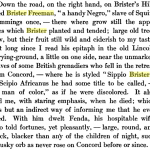 We will walk from Walden Pond to Brister’s Hill nearby and as we do we will consider what is nature, what is changing, and what is radicalism today? Wen Stephenson is a contributing writer for The Nation and writes frequently about climate, culture, and politics for Grist Magazine and The Boston Phoenix and he has written for Agni, Slate, The Atlantic, The New York Times Book Review, The Boston Globe’s Books and Opinion pages, and other publications. 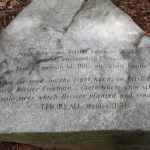 His Slate essay “Walking Home From Walden” was featured at the Thoreau Society’s 2012 annual gathering in Concord. He is a founding member of the grassroots climate-action network 350 Massachusetts. Read his recent Nation cover story on Thoreau, activism, and climate change. 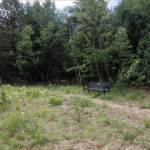 This event is part of Field Station Concordia, a project at the DeCordova Sculpture Park and Museum now through October 1, 2013 in the exhibition WORK OUT, in which four artists and artist collectives create alternative, sustainable engagements with the landscape.